Track how far you walk and how many steps you take. Always on, works on all iPhones. 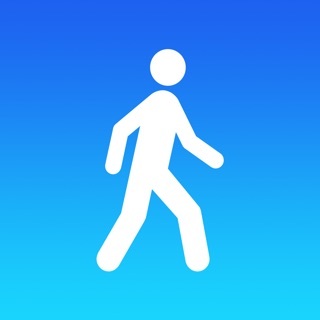 Steps is a pedometer and activity tracker. It shows you just how much you're moving in a simple, elegant way. Set a goal. As you walk, the colors change to show your progress like a sunrise. No noise, no extra gadget to wear and nothing to distract you. Everyone should walk 10,000 steps every day for their health, but many of us don't go that far. With Steps, you can easily track how far you go every day, set a goal, and get moving! 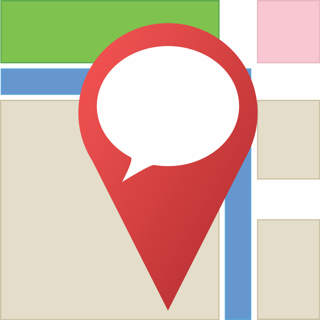 To track your activity in the background on the iPhone 5 and 5c, Steps keeps track of your location. We've gone to great lengths to minimize battery use and make sure your charge still lasts all day, but there's no getting around some impact on your battery. Continued use of GPS running in the background can dramatically decrease battery life. This game motivates me to go outside and run all day every day. Instead of playing other games, when I’m bored I go outside and start jogging with my best friend who also has the app. Believe or not, even though you don’t actually play any sort of game on this app, it’s actually kind of fun just running around the neighborhood. You also never know if you might meet a friend while running or jogging. I also love the fact that you can change the colors in the background. In addition, you can see the number of miles you’ve ran and how long you’ve been running for. You’re also able to change you’re goal for steps in a day. And you can pay just $1.99 to see the amount of calories you’ve burned for the day. Finally, you can check you’re history to see if the number of steps you’ve taken in a day has gone up compared to other days. I motivate everyone to get this app! I love it and you’ll love it too! This application kind of picks and chooses when it wants to work properly. I just waved my phone by accident if you times trying to shake a piece of hair off of my hand and it recorded eight steps. So I know this is incorrect. I don't really use pedometers to measure any kind of caloric or distance related data, I really just use it to make sure I'm at least somewhat active during my mostly sedentary job Monday through Friday. You have to really be disciplined with this app as with all pedometer apps, and have your phone on you constantly, which I do not always do. To get an accurate measure you have to walk with your phone even to the bathroom in your own house. So it would be better to have some kind of wearable pedometer like the old-school ones, or the new school, expensive models like a fit bit or something ridiculously overpriced like that. I would not recommend this as any kind of professional cool if you're considering serious weight loss or serious athletic fitness changes. Does not count imaginary "steps" while I'm driving! Very accurate. No delay in seeing steps update like other apps. Seems to take little battery even when running in background. I have it noticed ANY drain. Can also see history by day by swiping up. I didn't buy the calories upgrade. I just want to see my steps and it is there in bold numbers without any delay or hesitation whatsoever. Also runs the clock only while you are walking, unlike other apps, so you can get a true picture of how long you ACTUALLY walked. Also shows your steps goal you set & % of goal completed. Shows distance. Nice surprise was it sent me a notification congratulating me on % of steps previous day even tho I didn't meet my goal. It was encouraging!